McDonalds Partners With FreeCharge, Accepts Wallet Payments At Offline Stores Too! Offline payments through digital wallets are on the rise! We have mentioned this earlier – India is at a inflection point when it comes to cashless payments. Mobile and digital wallets are playing a big role in increasing adoption. 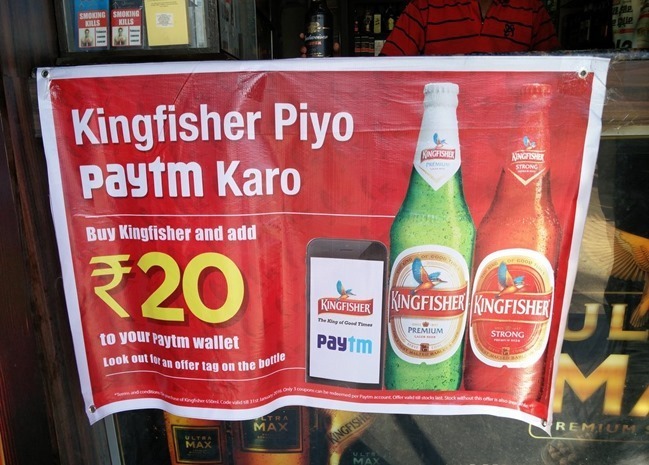 It is now becoming a common sight to see these digital wallets being accepted at offline stores. We now have yet another significant addition – FreeCharge, one of the India’s leading digital wallet company has announced that they have forged an exclusive partnership with Westlife Development Ltd, owner of the Master Franchisee of brand McDonald’s west and south India. Going forward, 216 McDonalds restaurant in 26 Cities across West and South region will accept wallet payment. Infact, this has already gone live since January 14th across most of these restaurants. This is definitely a big win for FreeCharge, as successful partnership with McDonalds will mean that other similar food chains and establishments will be comfortable offering wallet payment channel to their customers. To popularize usage, FreeCharge has also come up with some great offers – they are offering 50 percent cashback (upto Rs. 100) for your first order through the FreeCharge wallet! What’s really interesting in this partnership is that FreeCharge has developed a innovative authentication solution called On-the-Go PIN, with which the customers can generate a code on their app even if it’s not connected to the internet. After Snapdeal acquired FreeCharge last year, they have been aggressively trying to approach the offline market. The company launched Digital Wallet in month of September, and given Snapdeal’s user base, they immediately went on to become the second largest digital wallet company in India after Paytm. Given how things are moving, we would not be surprised to see wallet payments dominate the offline world in near future. Don’t believe us? Check out this banner, which was put up in front of a Wine Shop. I guess this should be enough for you to get convinced! "McDonalds Partners With FreeCharge, Accepts Wallet Payments At Offline Stores Too! ", 5 out of 5 based on 2 ratings. Excellent, excellent, *finally* it’s happening! :) LOOONG overdue! But why was it *McD’s*, an *American* chain that did it first, couldn’t any _Indian_ chain have been convinced to do it 1st?? What about Coffee Day, they have a fairly “young and hip” image….? Shame…..